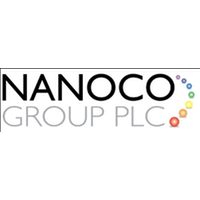 The stock price for Nanoco Group PLC with ticker code: LON:NANO has increased 6.59% or 2.45 points during the course of today’s session so far. Market buyers have stayed positive throughout the session. The periods high has already touched 40.5 and a low of 37.19. The total volume traded so far comes to 224,266 with the average number of shares traded daily being 522,559. The 52 week high price for the shares is 49.95 around 12.75 points difference from the previous days close and putting the 52 week low at 23 which is a variance of 14.2 points. Nanoco Group PLC now has a 20 moving average of 41.33 and now the 50 day moving average at 40.1. Market capitalisation for the company is £113.37m at the time of this report. The share price is in Great British pence. Mcap is measured in GBP. This article was written with the last trade for Nanoco Group PLC being recorded at Thursday, December 13, 2018 at 12:02:10 PM GMT with the stock price trading at 39.65 GBX. Shares of International Consolidated Airlns Grp SA company symbol: LON:IAG has climbed 1.25% or 7.6 points throughout the session so far. Investors have so far held a positive outlook during this period. The period high has peaked at 615.4 dipping to 606.4. The total volume of shares exchanged so far has reached 1,381,911 with the average number of shares traded daily being 7,956,528. The 52 week high price for the shares is 727 which is 121.2 points in difference on the previous days close and a 52 week low being 547 which is a variance of 58.8 points. International Consolidated Airlns Grp SA now has a 20 simple moving average of 636.51 and now the 50 day SMA of 621.09. The market capitalisation is now £12,165.63m at the time of this report. The stock is traded in GBX. Mcap is measured in GBP. This article was written with the last trade for International Consolidated Airlns Grp SA being recorded at Thursday, December 13, 2018 at 12:02:05 PM GMT with the stock price trading at 613.4 GBX. 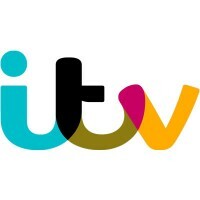 The trading price for J Sainsbury plc ticker code: LON:SBRY has risen 1.24% or 3.4 points in today’s trading session so far. Buyers have remained optimistic while the stock has been in play. The periods high has already touched 284 and hitting a low of 275. The total volume of shares exchanged through this period comes to 3,502,977 with the daily average number around 9,626,338. A 52 week share price high is 341.8 about 66.8 points in difference on the previous days close and a 52 week low being 224.7 which is a variance of 50.3 points. J Sainsbury plc now has a 20 SMA of 310.36 with a 50 day moving average at 312.59. The market cap now stands at £6,129.54m at the time of this report. The currency for this stock is Great British pence.Market cap is measured in GBP. This article was written with the last trade for J Sainsbury plc being recorded at Thursday, December 13, 2018 at 11:59:52 AM GMT with the stock price trading at 278.4 GBX. The trading price for Just Eat PLC with ticker code: LON:JE has moved up 1.05% or 6 points during the course of today’s session so far. Investors have stayed positive during this period. Range high for the period has seen 581.6 dipping to 569.2. Volume total for shares traded at this point reached 458,429 with the daily average at 3,825,069. The stock 52 week high is 906 about 333.8 points in difference on the previous days close and a 52 week low being 519.2 which is a difference of 53 points. Just Eat PLC has a 20 SMA of 580.94 and a 50 day moving average at 607.05. The current market cap is £3,949.74m at the time of this report. The share price is in GBX. Mcap is measured in GBP. This article was written with the last trade for Just Eat PLC being recorded at Thursday, December 13, 2018 at 12:02:16 PM GMT with the stock price trading at 578.2 GBX. Shares of Mortgage Advice Bureau (Holdings) PLC found using EPIC: LON:MAB1 has increased 5.16% or 25.3 points during today’s session so far. Market buyers have so far held a positive outlook throughout the trading session. The high for the period has peaked at 515.3 and hitting a low of 515.3. The number of shares traded by this point in time totalled 581 whilst the daily average number of shares exchanged is just 131,842. The 52 week high price for the shares is 745.2 some 255.2 points in difference on the previous days close and a 52 week low being 450 which is a difference of 40 points. Mortgage Advice Bureau (Holdings) PLC now has a 20 SMA at 537.34 and now a 50 day moving average now of 552.18. The market capitalisation currently stands at £263.35m at the time of this report. Share price is traded in GBX. Mcap is measured in GBP. 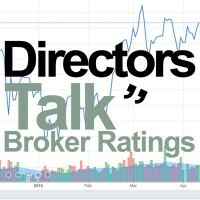 This article was written with the last trade for Mortgage Advice Bureau (Holdings) PLC being recorded at Thursday, December 13, 2018 at 9:07:30 AM GMT with the stock price trading at 515.3 GBX. Shares of Mysale Group PLC with ticker code: LON:MYSL has risen 4.71% or 0.83 points during today’s session so far. Investors seem confident throughout the session. Range high for the period has seen 18.98 while the low for the session was 17.77. The number of shares traded by this point in time totalled 179,938 with the daily average number around 241,360. A 52 week share price high is 118 amounting to 100.45 points difference from the previous days close and the 52 week low at 16 which is a difference of 1.55 points. Mysale Group PLC now has a 20 SMA of 36.32 and now a 50 day MA at 42.55. The market capitalisation is now £28.36m at the time of this report. The currency for this stock is Great British pence.Market cap is measured in GBP. This article was written with the last trade for Mysale Group PLC being recorded at Thursday, December 13, 2018 at 11:04:48 AM GMT with the stock price trading at 18.38 GBX. Click IAG JE MAN1 MYSL NANO SBRY for the full archive.